Full Rototom Set for best price! 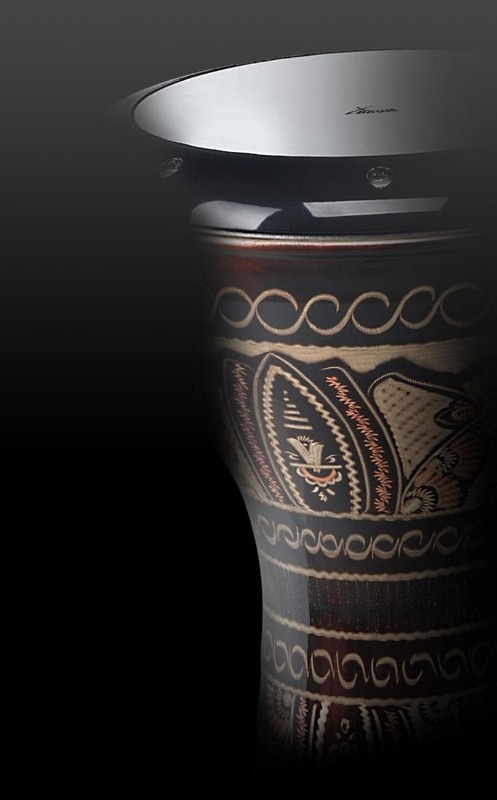 The rototoms were not only known through drummer Bill Bruford, Nick Mason and Terry Bozzio. Percussion instrument as a single or in combination with a normal drum set. The rototoms are ideally suited for a wide variety of music! 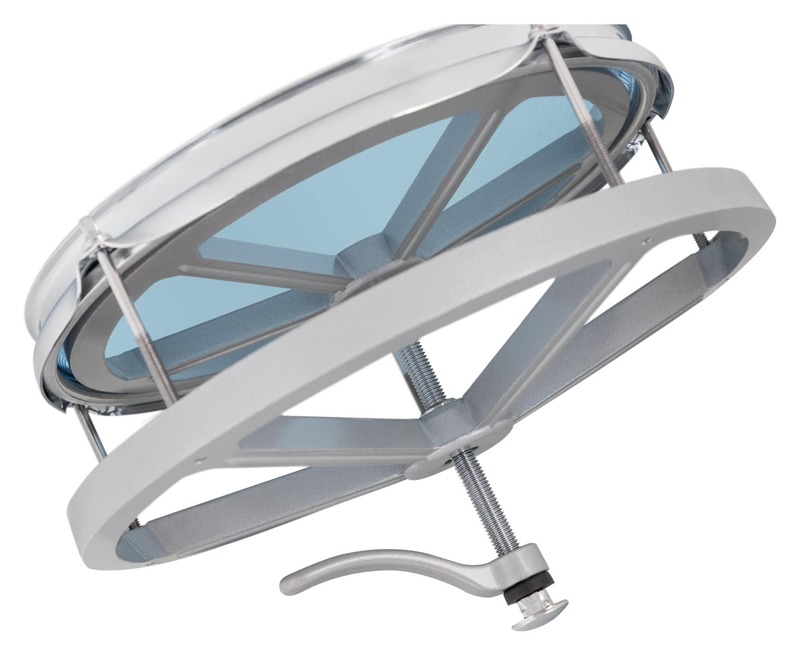 The sturdy, double braced stand can be easily adjusted to different body sizes. Thus, comfortable playing position is guaranteed for each player. 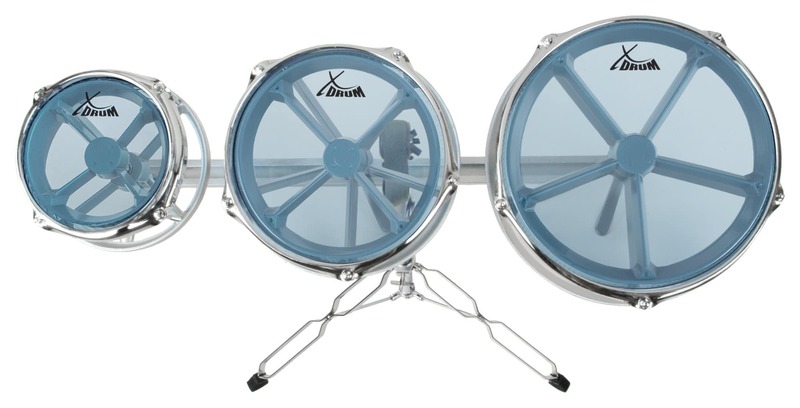 Due to the easily accessible mounting grips on the bottom of the rototoms they can be set up in seconds. Turning the rototoms you can tune up or down in seconds, thus you can create a unique, dynamic sound experience. 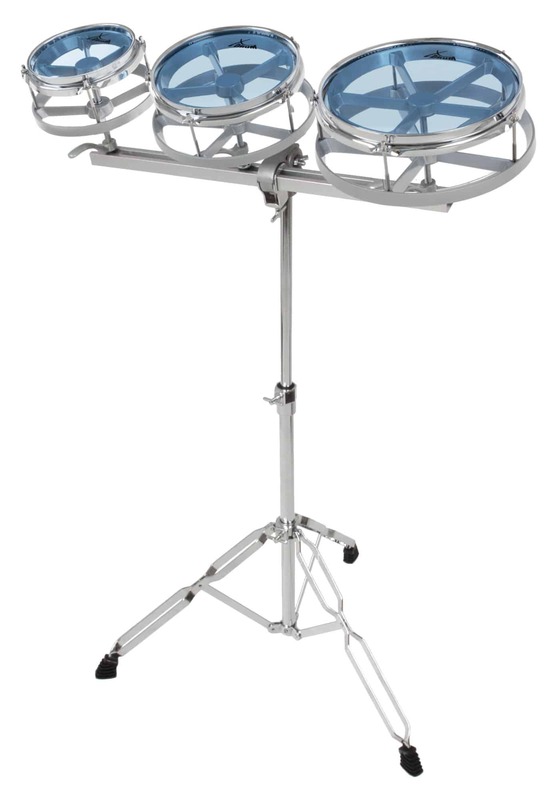 Some drummers use rototoms even as a tuned, melodic instrument and compose entire songs with them. The included, absolutely fit for the stage stand, can be adjusted perfectly to your needs, whether in height or inclination angle. Thus you can enjoy your preferred playing position in the fastest and easiest way. The heads are clamped with 4 clamping screws. This Rototom set comes with original Classic Cantabile heads that are characterized by their high quality, their tenacity and their powerful sound. Arrivato in 3 giorni in Italia, pacco unico con tutto il necessario al montaggio. In 5 minuti era già tutto pronto. Il suono per come esso possa essere utilizzato all'interno di un set di batteria rock è perfetto. Unica pecca: l'asta non è molto alta, al massimo circa un 1,50 m.
Die Rototoms haben einen guten Sound und eine große Klangbandbreite. Hardware ist gut gemacht. Versand war 1A schnell! Alles perfekt! Le matériel est conforme au descriptif. Très bien rapport qualité/prix. Le matériel est satisfaisant. Le transport aussi. Je conseillerais mes amis à commander les instruments, articles et accessoires chez vous et vous faire aussi confiance. Bei den Roto Toms überzeugt die Hardwarekomponenten und der Preis. Hatte diese für unseren Drummer erstanden und er ist hellauf begeistert!!! Beim Betrachten dachte ich: Wie abgespaced sieht das Teil aus. Jetzt, wo es bei mir Zuhause steht, hat sich meine Meinung nicht geändert - ein echter Hingucker. Und dann der Sound! Eine Trommel ohne Schallkörper - geht das? Es geht. Die Töne sind gestochen scharf und haben einen ganz eigenen Charakter. Das Teil lässt sich sehr problemlos durch drehen der Metallringe stimmen. Die Hardware ist schwer aber auch sehr massiv und standfest. Damit kann unabhängig von der Größe des Spielers oder ob im Sitzen oder Stehen die individuell angenehme Position gefunden werden. Ich spiele die Rototoms zusammen mit einer Snare und bin damit sehr glücklich. Ce fabricant a actuellement des problèmes de livraison. Nous sommes désolés du désagrement.